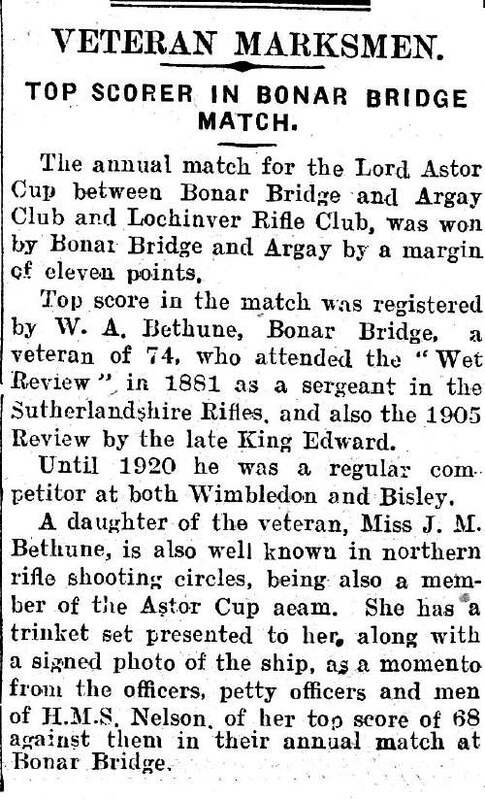 Newspaper report on the Lord Astor Cup. W.A. Bethune, Bonar Bridge gains highest score. No date.